The simplest approach to pausing your game in Unity is to set Time.timeScale = 0. While the time scale is 0, Update methods in your scripts will still called, but Time.deltaTime will always return 0. This works well if you want to pause all on-screen action, but it is severely limiting if you need animated menus or overlays, since Time.timeScale = 0 also pauses animations and particle systems. 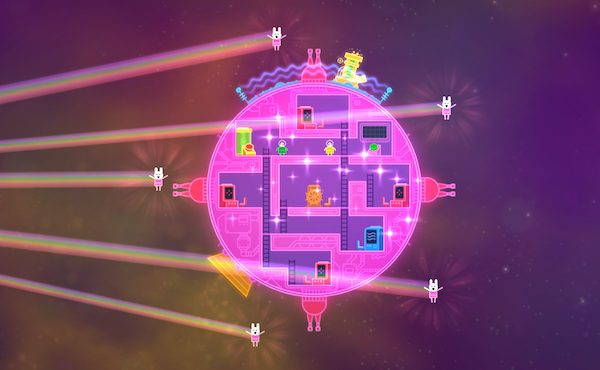 We first encountered this limitation when we were trying to implement a world map in Lovers in a Dangerous Spacetime. When the player enters the ship's map station, we display a overlay of the current level. Since the map obstructs the ship and, as such, inhibits gameplay, we needed to pause the game while the display is visible. However, a completely static map screen would make it difficult to convey information (and also look pretty dull). In order to achieve our goal we needed a separate way to track how much time has elapsed since the last update loop. 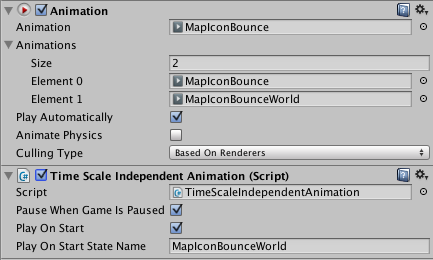 This sequence relies heavily on the TimeScaleIndependentWaitForSeconds method of TimeScaleIndependentUpdate, which approximates Unity's built-in WaitForSeconds method and is extremely useful for creating coroutines. // Adam Winkels (@winkels) is a co-founder of Asteroid Base.